Passing the door ,you get into Paris. In this beautiful country of Kirishima, there is a restaurant run by a French Japanese family. The chef is a true Parisian. 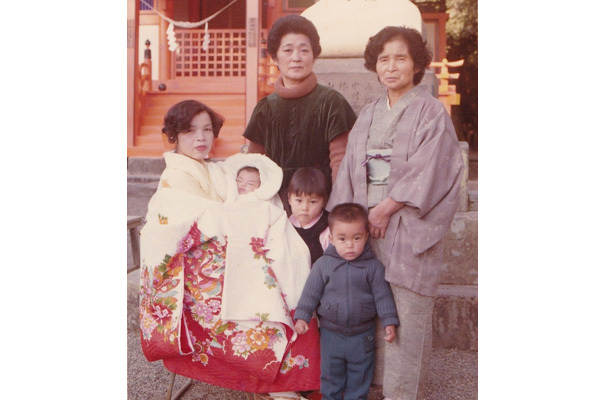 His wife, the pastry cook, was born and brought up here in Kokubu. No fuss, just a true « Café Parisien » which offers you a warm welcome. 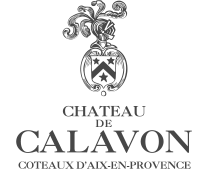 The products are home made and carefully cooked according to traditional French recipes. The « patisserie » is simply delicious.. We are waiting to welcome you at our Café le Parisien,a small and friendly little part of France in the middle of Japan . Café le Parisien and its vegetable garden for all seasons. Since the opening the chef has carefully followed the advice of his Japanese neighbours to grow the produce in local soil. Everything is carefully grown from Japanese vegetables to herbs from France. Everyday vegetables reach you directly from garden to plate, without the use of any chemicals. Born in Paris, december 4th, 1982. 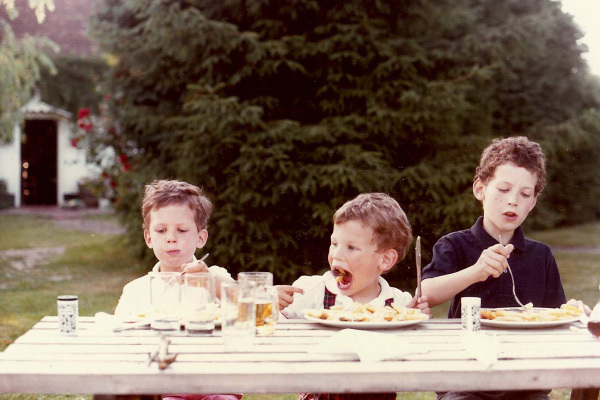 Since his very early years, Timothée had always been keen on baking and… tasting his own cookies and cakes ! 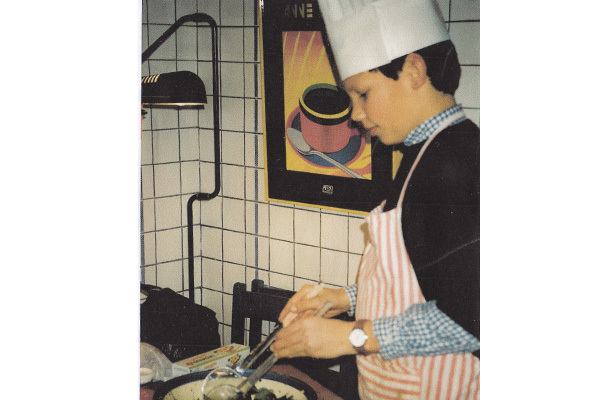 When 16, after many periods of training in hotels, restaurants as well as bakery shops, Timothée began a course at the famous French school of cookery and pastry « Le Cordon Bleu », in Paris, which gave him a thorough training for his future life. 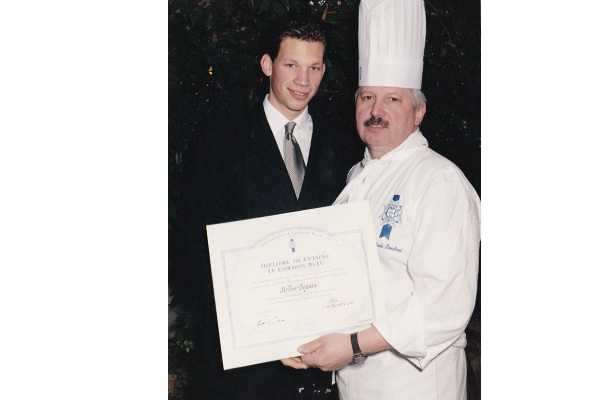 During two years the young trainer alternatively attended courses at the Cordon Bleu and worked besides in very famous places from Paris to Dinard, like Hotel Le Crillon, Gerard Mulot Patisserie, Malitourne Patisserie,Bistrot A&M, Natachef , Pascal Jenvrin Traiteur etc .. 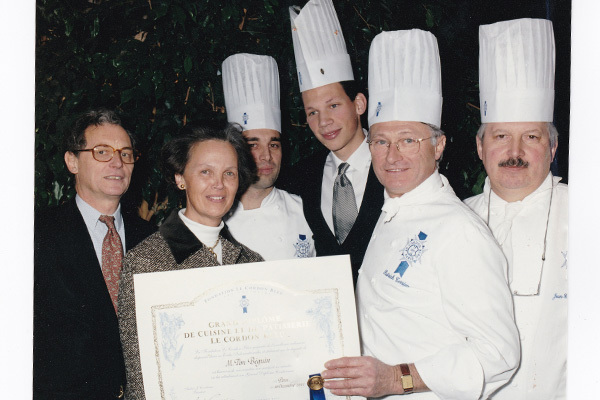 In 2001 the 18 year old student successfully graduated with the « Grand Diplôme du Cordon Bleu » .Ever enthusiastic, Timothée had a lot of ideas for creating his own business.He simply had to learn more and practice more to do all he wanted.That is why, the new graduate began at Ladurée’s, a famous Parisian patisserie. 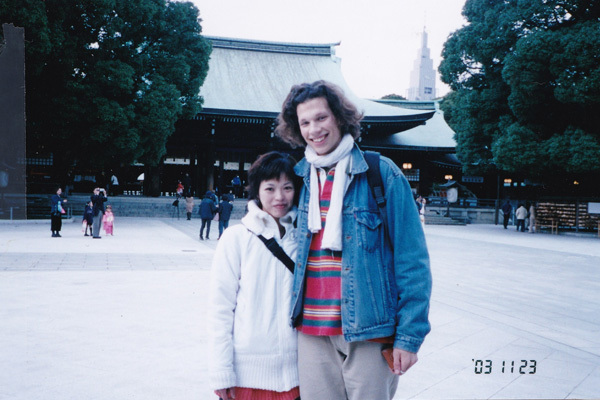 There, he enjoyed many opportunities of meeting Japanese customers..
Then on June 13th 2003, 20 year old Timothée, full of ideas and keen to discover a new world , flew to Japan on a special one- year visa giving him the chance to work and vacation. 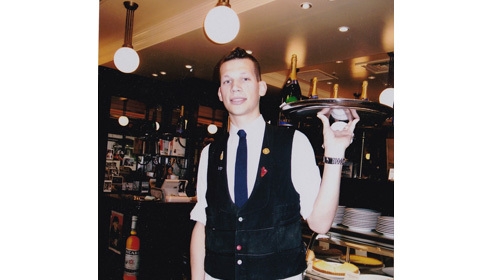 After quite a few experiences discovering Tokyo and Japan he started a new job as waiter at « Mariage Frères » in Ginza Tokyo, where he met a charming pastry cook, who was to be his wife later on. 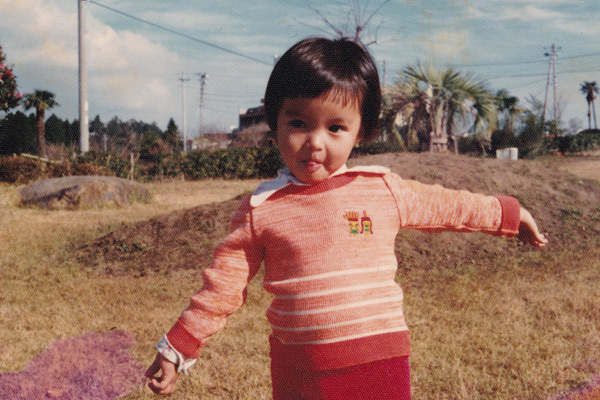 Born on November 21st 1978 in Kirishima, Kagoshima in Japan. Since her early years Kyoko had always enjoyed baking whatever the circumstances. Kyoko was very resourceful and the appetizing smell of her baking would make all her family happy. 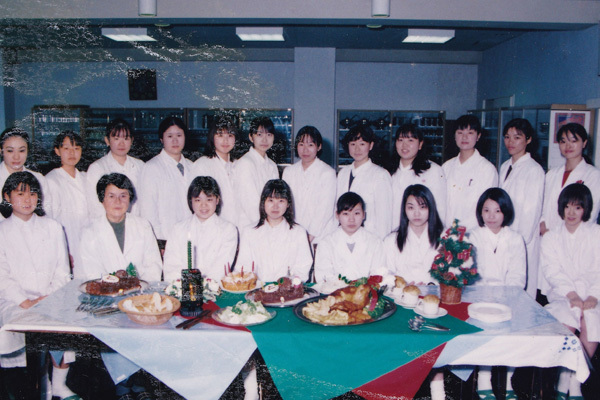 When 18, Kyoko started university of « House keeping » which gave her the opportunity to teach 13 to 15 year old teenagers. 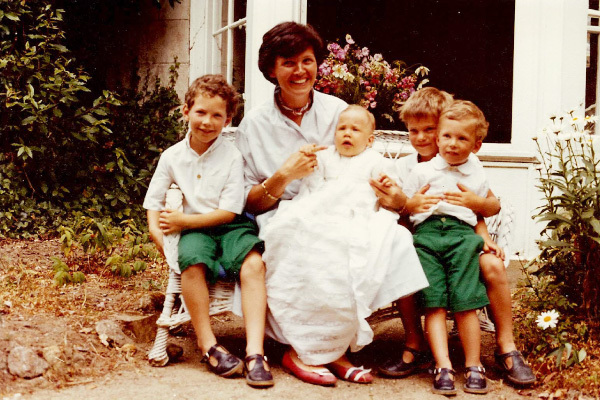 During her studies she was taught pastry making as well as other subjects, which by the end of her studies led her to change her ideas about what she wanted to do as a career, since she found it fascinating! 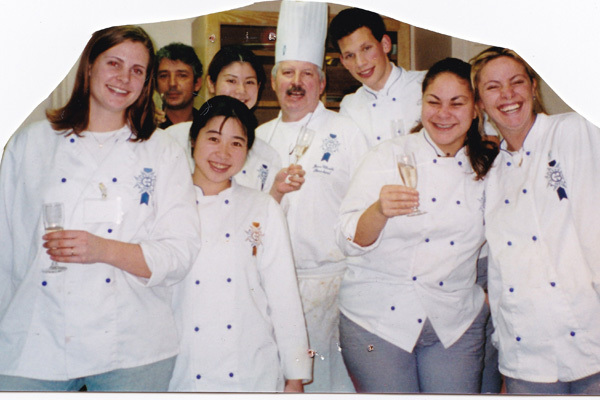 Kyoko went on to learn more about pastry for a year in Kagoshima, and afterwards, keen to learn how to make true French pastry, decided to leave her native town for Tokyo. 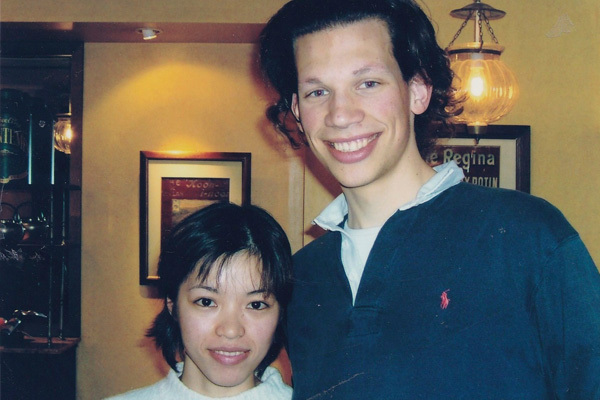 21 years old,in 2000, Tokyo ! 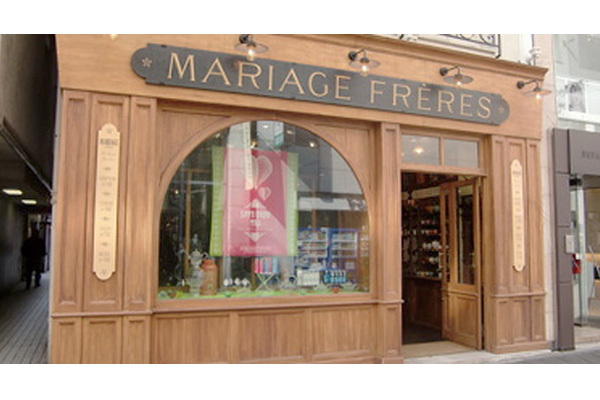 After asking advice she sent her CV to Mariage Frères in Ginza Tokyo. But unfortunately they asked for five years’ experience, which of course she didnn’t have. So, instead she started work at a small French pastry shop in Aoyama Tokyo. Her manager, totally confident in her abilities, taught her everything about baking and selling, and quite often in the big store « le Printemps » in Ginza. 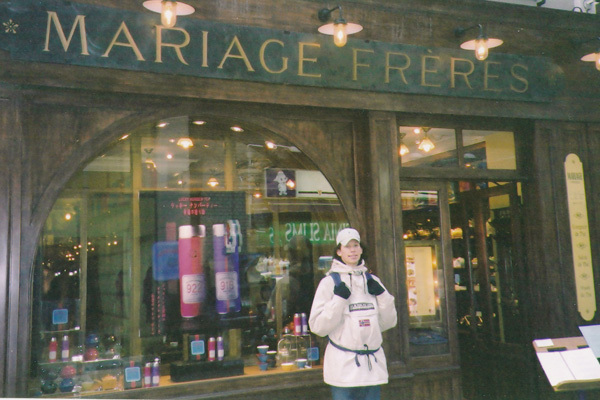 At the end of the second year , Mariage Frères in Ginza came back to her and asked Kyoko after a « one day » pastry trial to join their pastry team : a brand new life , a brand new world lay in front of her ! A few months later Kyoko in this very famous place met a charming french waiter called Timothée.. he was delivering bread and pastry. 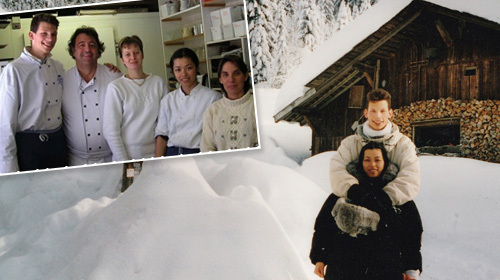 In the middle of October 2003, a young French-Japanese couple was born and on New Year's Eve Timothée asked Kyoko to become his bride.They shared their lives together and also shared plans for their own future business. 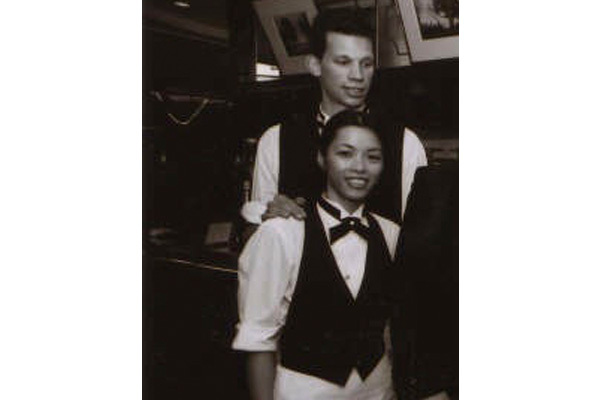 Timothée suggested that Kyoko should stay in France on a one-year visa, as he had done himself in Japan.In 2004 The couple moved to France, and once again settled in Strasbourg to work in the patisserie where Timothée had trained for so many years. 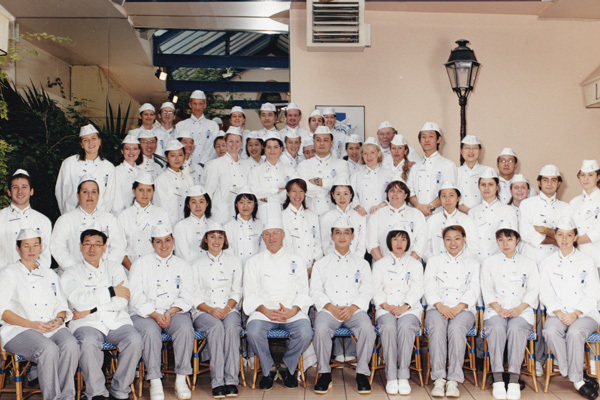 There Kyoko discovered French « Viennoiseries » - such as croissants and pains au chocolat - as well as classical French pastry and also learnt about the « service traiteur" or supplier of ready-prepared classical French meals. 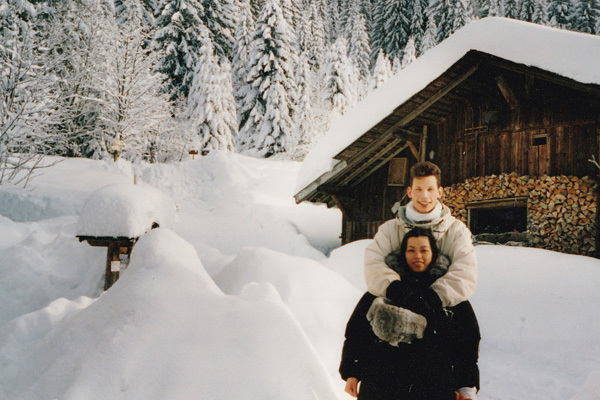 After a summer period in Strasbourg, they were very happy when both were able to secure a contract over the winter in the smart resort town of Megeve in the French Alps. This was at a lovely country inn with a wonderful view of the mountains, surrounded by old chalets and fields covered in snow. 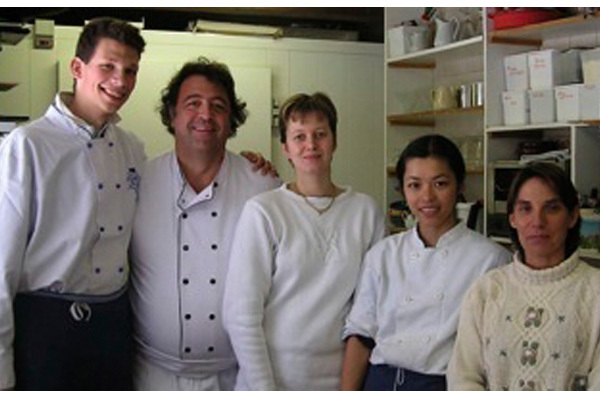 They worked there as cook and pastry cook for the winter season. 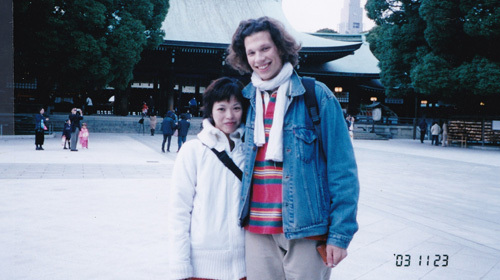 Returning to Japan in 2005 with a student visa, Timothée studied Japanese for a year. 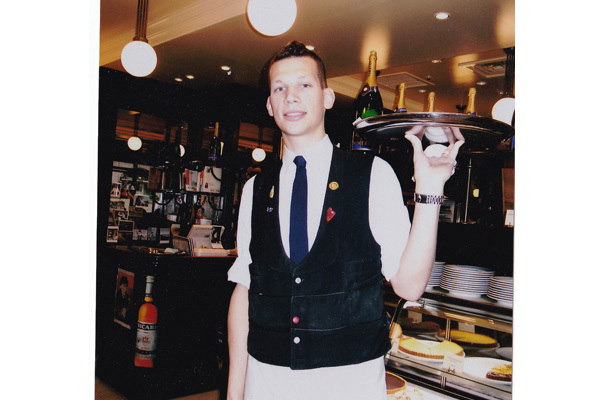 In the evening he worked as a waiter to Hiroo at Le Café des Prés. Kyoko meanwhile was a secretary during the day and worked alongside Tim in the evenings, so that they could save as much as possible in order to set up their own business. 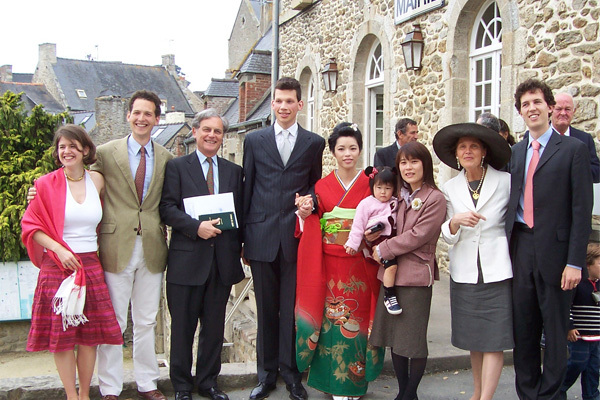 April 29th 2006 - a big day : Kyoko and Timothée were married in the little French village of Saint Briac in Brittany, surrounded by French family and Japanese friends. Kyoko wore the traditional Japanese wedding dress and was very much admired. The wedding breakfast took place under apple trees in bloom. Back to Japan again after their honeymoon, Kyoko introduced Timothée to the very beautiful town where she was born, as well as to the magnificent landscape of the whole region of Kirishima, which Timothée will never forget. 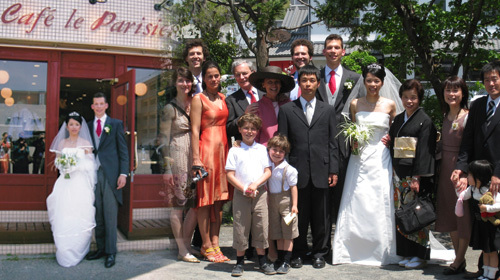 As soon as he had mastered Japanese, the couple left their work at the Café des Prés . Timothée then started at the Ritz Carlton for the opening of their hotel at Roppongi Midtown and then went on to the Café Brasserie « Aux Bacchanales, » , thanks to the recommendation of a colleague who was to become a close friend and was witness later at the Japanese wedding ceremony. Meanwhile, with the encouragement of his manager once a month Timothée went to Kagoshima and began to set up the new business that he and his wife dreamt of establishing. Kyoko was still working hard as a secretary and her days were filled with organising their business plan for the restaurant and also their move to the new house where the couple was to live. 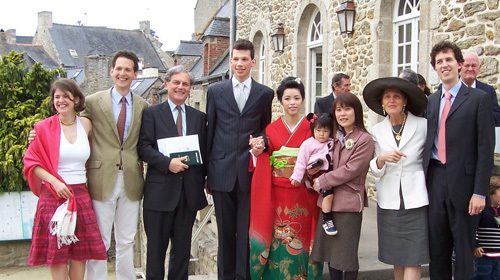 They also had to organize the arrival of Timothee's French family, who were all togather for the celebration of the religious wedding in Japan. 2008 March: departure for Kagoshima. A new life. 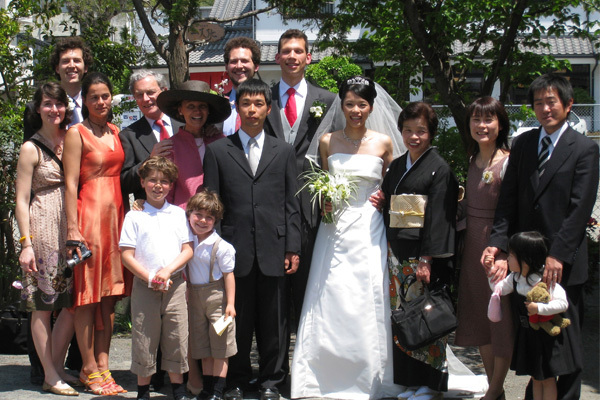 April 19th: Timothee and Kyoko were united in a religious ceremony at Kokubu Church, surrounded by their families, who had all gathered to be there for this very special occasion. 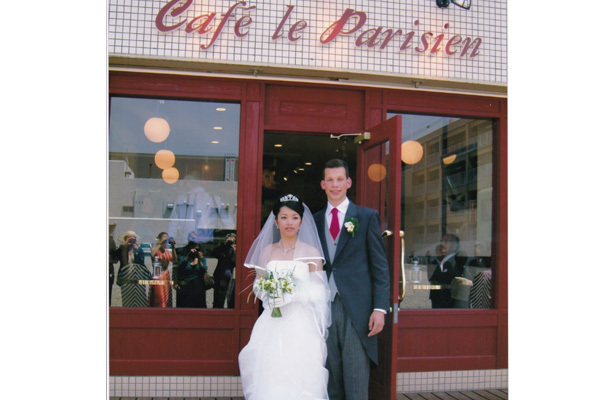 May 11th : the dream came true : the Café le Parisien OPENED !